Nicely upgraded home located in Surprise Farms. This is a very spacious split floor-plan with 3 bedrooms plus a den. The home shows pride of ownership and has been taken care of. There are upgrades throughout including timed light switches to save on electricity. The kitchen is open to a great room with a breakfast bar and an place for a table. The home feels spacious and bright and has a lot to offer for the price. The yard is low maintenance but yet shows very well. 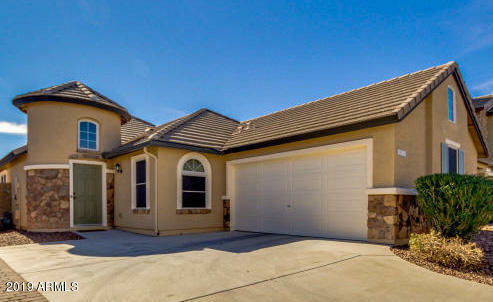 This home is located near parks, shopping, an aquatics center an Luke Airforce base.